It’s time to look at a pretty old horror film. There aren’t too many films about the Gorgon since they tend to focus on Medusa so that’s a good change of pace. 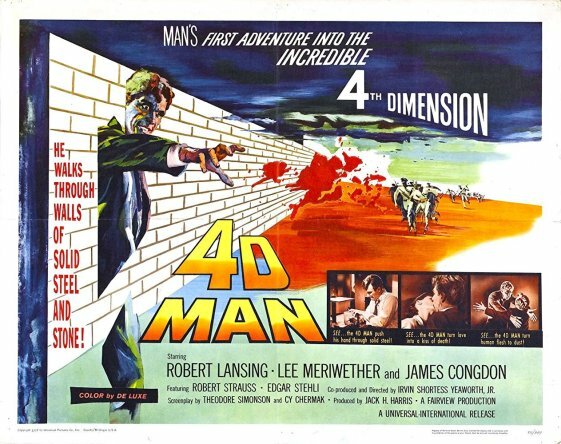 Considering how bad most of the Hammer films are this one was actually pretty decent. It even avoided the old animal violence trope. It’s still nothing great, but it’s a film that’s actually watchable and fairly entertaining. I was impressed. 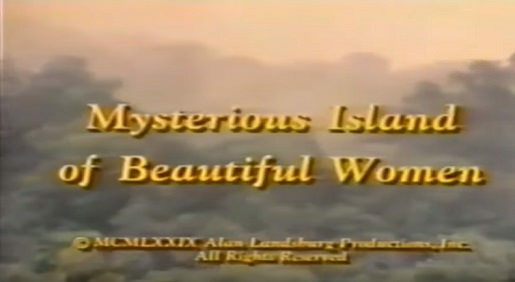 The film starts off with a bunch of people being murdered in a small village. One day another girl dies and her fiancee decides to get to the bottom of this. He has no luck and is destroyed so his father comes along to see what he can dig up. The townspeople threaten him and the cops allow it because the whole town is corrupt. The father manages to see the Gorgon and uncovers the truth, but dies as soon as he writes a letter. Then his son Paul shows up to finish his legacy. He wants to find the truth behind these murders but is being hampered at every turn. He’s called in his old pal Karl to help him out and a nice heroine by the name of Carla is also eager to help in his discoveries. Will the 3 of them be able to take down the Gorgon or will she turn them to stone? Right away I have to say that all the misdirects at the beginning were a blast. The main character switches like 3 different times until the actual lead shows up. The first two live long enough where you think that they actually would have made it through. Now that’s an unexpected death if I ever saw one. The town being corrupt was also done in less of an iffy way than usual although naturally they all still look pretty bad as you’d expect. Doesn’t the town realize that if they let the Gorgon run free it will mean the end of everything? They’re content to just murder anyone who tries to murder the threat that is after them, but that logic is just so bad. The only one that has a valid reason to help Gorgon for spoiler reasons is Namaroff and even he can be pretty bad the whole time. He changes his tune quite drastically by the end which makes his whole journey pointless. The guy was basically around to fulfill the role as the corrupt doctor but his goals and aspirations just didn’t make any sense either. By being overly cryptic and curt he should have known what was ultimately going to happen. The guy just wasn’t very smart. Now lets talk about the standout character- Karl. Karl is a hardened professor who has been to many corrupt towns like this one. He knows how to fight and is also the smartest character in the movie. He knows law like the back of his hand so the police aren’t able to bully him as they did with Paul. He outwits everyone and constantly digs up facts about the case. He even solves the mystery early on but naturally Paul won’t hear anything of it. Without Karl, Paul would have been doomed from the start. Effectively this professor is Sherlock Holmes and he completely stole the show. I was surprised to see a character this likable in this film. Carla is a reasonable character for the most part. I think she should have also suspected what was happening a little sooner, but it’s also reasonable to assume that she would have some memory issues. By the end of the film her will power wasn’t particularly strong though which hurt her character arc a bit. Willpower isn’t something you can train all that much, it’s just something that you have but she could have used it to a better extent. The writing was actually pretty good here. I can’t say I had any complaints with it. I mean, the town could be super unreasonable but at this point I can’t even say that is an unrealistic thing to see. The film is quite short so it doesn’t drag on and is over in the blink of an eye. The film isn’t super violent or graphic compared to the average Hammer film either. At worst the film might just move a bit slowly at times, but I would argue that the film’s plot never comes to a halt either. There really isn’t much time for big filler scenes. 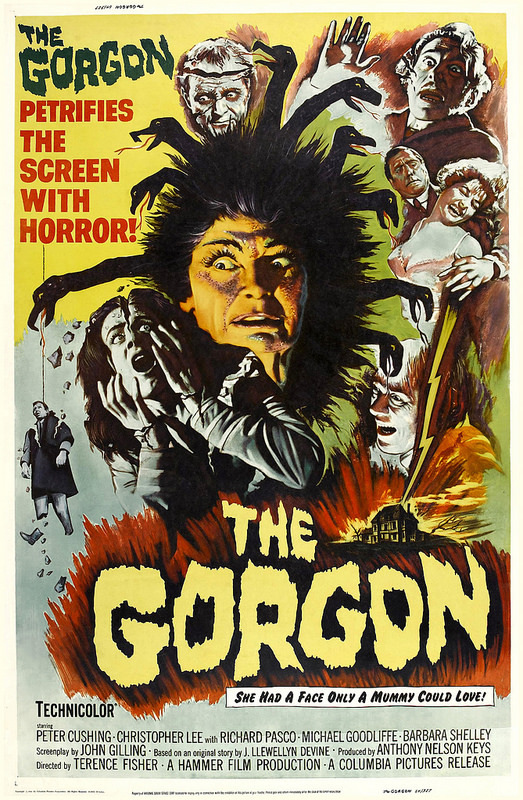 Overall, The Gorgon certainly is a film that you have seen many times before. Switch out the character names and this could work as any other retro horror film. Still, while it is generic the film doesn’t necessarily handle itself poorly. It’s still a big improvement over films like Dracula and the Werewolf titles. 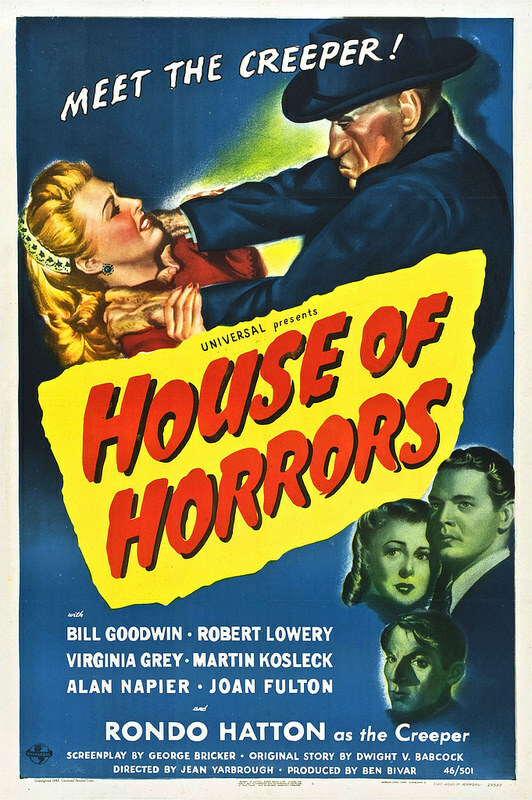 I’d recommend watching it if you want an old horror film like this one. It takes itself seriously and I’d say that it has aged well in the sense that it’s not campy or anything. That can actually be a tough thing to accomplish nowadays. It feels like most old films can be pretty cheesy when watched in the present. It’s time to look at a horror film that is very by the books. It follows the pattern of every other movie of this nature and doesn’t try to do anything different. I can applaud that resolve to an extent, but it’s not enough to earn this film a positive score. None of the characters act very realistically and the Creeper won more battles than he should have. 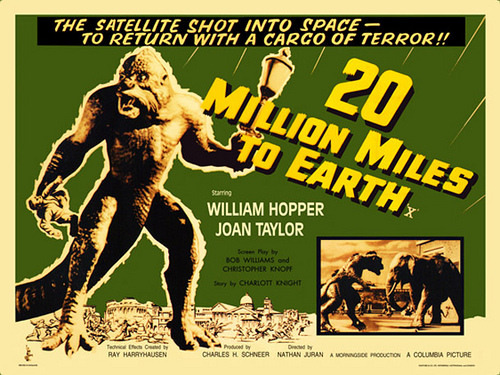 The film begins with a critic walking in and blasting the main character’s art. The critic points out that it is terrible and now he will end the lead’s career. Marcel isn’t happy about that and decides to do something about it. He runs off to go jump in the lake but finds a wanted serial killer named the Creeper. They decide to team up and destroy all of the critics out there along with any civilians who get in the way. The only things that can possibly get in their way…are more critics! We’ve seen the Creeper type villain many times before. Perhaps at this point in time the villain felt a little more inspired compared to nowadays but I can’t say that he did anything for me to be honest. He is a very slow villain and the only thing going for him is his raw strength. While he may not look like the most pleasant fellow, it’s hard to see people literally being unable to talk or scream in fright when he approaches. That’s definitely one trope that has not been missed in the modern days. I think one problem with these films is that by the time the heroes make a move pretty much every character is dead aside from the main pair. In particular it was annoying to see the critic who was acting as bait get murdered since the cops were right there at the time and should have been more prepared. Then you have the assistant who was kept waiting by the same cop until it was too late. They may have eventually gotten the Creeper but by then there weren’t too many characters to save. As for the heroine, she’s definitely very tough and sarcastic which is always a good thing. Joan doesn’t tend to think things through all that well at times though like when she stole the files from the villains desk and then returned them the next day. She figured that he wouldn’t notice them but how could he not? Also putting them right where they had been makes it even more suspicious. Still, mistakes aside at least she had a lot more character than the lead who was literally sitting at home and twiddling his thumbs. There’s not much to say about the human main villain. Marcel tends to whine a lot which is why the Creeper ends up helping him since this brute just wants to eat his dinner in peace. The artist just complains about everything and is in denial about the fact that his artwork wasn’t actually that good. One critic may have been conspiring against him but even then it wasn’t personal since we learn that he went after all of the artists in the city. I’m assuming that the artist would have known that so it makes his overreaction look even worse. Overall, The House of Horrors has a very retro feel to it. It has those writing elements that are always present in films of this era in both good and bad ways. The script is quite strong as always but everyone fainting in fear is the weak part of the writing. The pacing isn’t bad but there is nothing remarkable about this film at all. It just goes through the motions without thinking about it. I think if the heroes had been able to step in sooner and save a few more people the whole thing would have worked a lot better. If you want to see an old horror film then go check this one out but I’d highly recommend going with a different option like the Witch’s Ghost instead. It’s time to look at a really old creature feature film. Unfortunately this isn’t one of the better ones and is in fact a particularly weak one. It resorts to bottom of the barrel tropes like animal violence and so the film quickly goes downhill. from there. You just can’t add in animal violence and expect to do well. Also, it doesn’t help that the monster didn’t really have a great design. He looked sort of like the gill man when he should have gone for a more authentic Godzilla design. I suppose you can’t win them all though. It’s very by the books as far as the plot is concerned. The creature goes on a rampage and starts breaking stuff so the heroes have to put an end to it. The humans are all consumed by greed though and so they keep letting the creature get away. They want to contain it rather than destroy the beast because it can be useful for scientific study. This continues even when the monster is murdering people. One guy is literally getting bit to death while they just watch because they don’t want to hurt the monster. The big irony here is that bullets don’t work on the creature anyway so they were worried for nothing. It still makes you wonder about their principles though. The Italian government were the ones in the right here as the Americans just looked pretty bad the whole time. Even once they captured the beast to keep zapping him the whole time they let him break out and then a bunch of other people perished. So much for that eh? Pepe is also a very annoying kid. In fact, he’s pretty much exactly what you expect whenever a kid shows up. They just tend to be rather annoying the whole time as they hide things from the grownups and keep trying for more and more money. He just holds everyone back. I’d say that the main fisher was probably the best character. He’s the only one who actually wanted to help the people from the crash while everyone else was too busy trying to escape. Certainly not the bravest thing to do in the middle of that. Of course, these characters aren’t here to be likable and they typically aren’t all that smart either. Take Marisa, the doctor in training. She is in charge of looking after the 2 people from the crash, but one of them is unfortunately dying. The first guy, Calder quickly tries to wake up the second one to get answers, but she keeps telling him to leave the guy alone. Decent advice I guess, but since the guy is dying it isn’t like there is actually going to be a later. Then it makes sense to get all of the answers right away. She goes back and forth with Calder on this quite a lot until a random romance pops up and you wonder why once again romance was forced into a film for no real reason. It certainly didn’t add anything to the film and aside from a few very brief scenes it never actually goes anywhere. It’s just around for kicks. The actual doctor isn’t very intelligent either. First he leaves the moving egg by itself as he goes to take a nap. Then after putting it in the cage he goes to sleep again and the monster has almost grown too large for his cage. What he does next is leave once again to go talk to Pepe and then decides to take a long trip to Rome. Did he really think that the monster would simply stop growing or that it would peacefully let them take it to Rome? Clearly this guy must be a self proclaimed doctor since I would expect him to be a lot smarter if his degree was actually legitimate. The writing isn’t terrible, but it’s just nothing inspired. You could take some of the dialogue here and place it into almost any other monster film. It will work just fine because of how generic it is. Anyway, all of that could have been forgiven if not for the animal violence. As if once wasn’t bad enough they decide to go through with this twice. Perhaps it is the only way to show what a threat this monster is supposed to be, but picking on the humans would have been a better way of getting that across if you ask me. Overall, I have to give this film a hard thumbs down. The creature isn’t very interesting and the characters are nothing special. Not only are they not quite as on the ball as a classic lead from other films, but their priorities are completely misplaced. The fact that they are okay with a bunch of people dying if it means that they get to study the monster just shows that these guys have no scruples. The whole situation makes it hard to root for the heroes, but you can’t root for the monster either so then what is there to do? Not much except to quickly shut off the movie. I’d certainly advise you to stick away from this one unless you want to get bored. If you need to see a film about a monster, go watch one of the Godzilla films. Those tend to deliver on the action front which this one could not. Also, who thought it would be a god idea to make the monster look really old and weak by giving him a mustache?